ashmir is said to be the Reshi Va'ir/ abode of the great souls,revered as "Reshis' in Kashmir. Most of the Rishis were born in Kashmir, with an intuitive mind, initiating the people with the universal message of peace and love. Rishi is the Vedic word and is revered as the Mantra Dr^iShTA, in the Vedas. Rishi or R^iShi is one, who is the seer of the Vedic Mantra. Therefore, Rishi is an evolved soul, and an inspired sage." 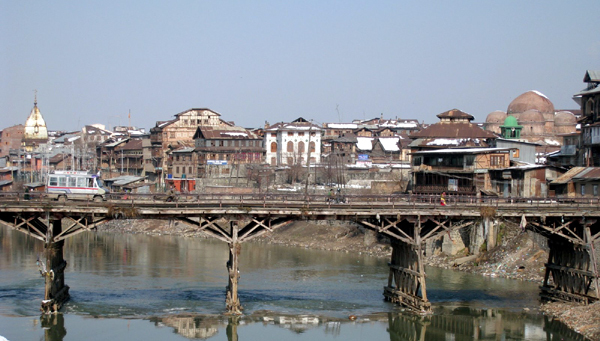 Kashyapa Rishi is said to be the first sage of Kashmir, according to the Nilamata Purana. A detailed reference about the Divine Mother Sati, who is revered as the Sharika Bhagawati in Kashmir, is also available in the Nilamata Purana. Her abode is the Sharika Parvat, or Hari Parbat in Srinagar,where her Yantrik form is revered as the Svayambhu Chakreshvara itself. Reshi Peer Sahib used to pay the Parikrama/Pradikshana --circumambulation of this great sacred spot known as the Siddha PeeTha or Sedya--PeeTha/the seat of the spiritual perfection. This seat is said to be the ultimate Siddhidhaatri aspect of Shri Sharika Bhagawati. Reshi Peer Sahib devoted his whole life in doing meditation and penances at the foothills of this Siddha PiiTha. Batayar Alikadal is very close to the Hari Parbat. It takes an hour or so to make one Pradakhshina from Batayar Alikadal to the Hari Parbat, popularly revered as Parbat. It is in coincidence that Reshi Peer Sahib attained Nirvana on his birthday.This day is revered as the "Reshi Peer Sa'ibun Shraadha" in Kashmir. 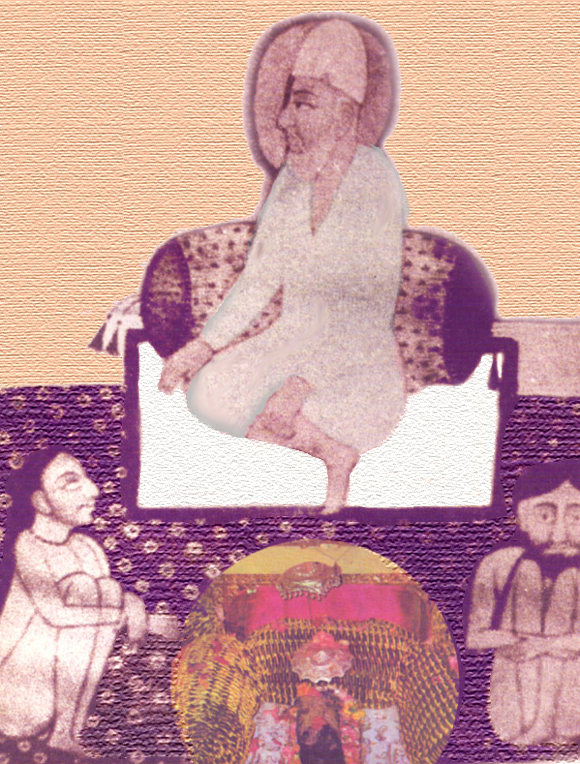 The Shraadha/ Nirvana Tithi/anniversary of Reshi Peer falls on the 15th of April, 2009 this year. It is said that he was born on the Shri Panchami day in the year 1637 A.D. I have not come across any reference regarding the year of his Nirvana. But his Shraddha Tithi is an established fact, according to the K P tradition and with reference to the Kashmiri Vijayeshwara Panchanga. A Havana, or Jag/yajnya used to be performed at the Reshpr Sahib's Asthapan , a single storeyed Ashram of Reshipr Sahib, up to 1989, till mass exodus of Kashmiri Pandits took place. Ashram in the name of Reshi Peer Sahib has been constructed at Jammu after migration, where his relic and photograph has been kept for Puja and Darshan purposes. This Urdu couplet struck to my mind , when we had to leave Kashmir- the motherland, under great threat and turbulence in early 1990. As I understand, the word "Teri Khudi" is the Ichha Shakti or the will power of the great saints and perfect sages like Lall Ded, Roopa Bhavani, Krishan Joo Kar , Reshi Peer Sahib and like great souls, who descend from above to raise the morale of the suffering masses. "Meri Nigah" is the sense of perception associated with inference where a man is involved in the triadic concept of time, place and situation. There is a marked difference between a realized soul and the ascending soul in progress, for realizing the Divine nature of the Absolute. This is the difference between a great saint in real sense of the word and a man involved in the world of experience. Reshi Peer has stood the test of the time, in every phase of his life. He was a Grihasthi Sadhu--a house holder,who was an evolved soul, who stood the test of tyranny, He performed the Karamaar--miracles to save the humanity.The "Haadisaat"--circumstances of time could not deter his inner voice. The Avatar -- great sage of the highest order will be born as a great ascetic in the holy land of Kashmir. He will be adored as "Salik'-- the saint with intuitive faculty. He will be a guiding force, with great illumination. He will be Badshah/ the spiritual leader for this world of immanence , and the world of transcendence. He will be revered every where---,.be it Kashmir or the lands touching with oceans. He will be revered in proximity with the Divine.In other words he as a Devata--the incarnation of the celestial order, has to descend.. This great Rishi of that time was conferred with the title " Peer Pandit Patshah, Hardu Jehan Mushkil Kusha ", by the Moghal ruler Aurangzeb. 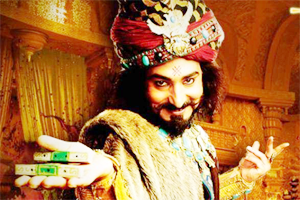 It was just the twinkle of miracle of the Yogic power in Reshi Peer that made Aurangzeb to realize the spiritual power hidden in him , when he was presented before the court of Aurangzeb- the Moghul King ,as an offender. For no fault of Reshi Peer himself, he was revered and addressed as "Pandit Patshah" by his devotees, irrespective of any religious denomination.. The king could not tolerate him to be adored, revered and addressed with the words like Peer Pandit Padshah.. During the trial, the king had a dream seeing Reshi Peer Pandit Patshah, riding on a lion with all celestial grandeur. 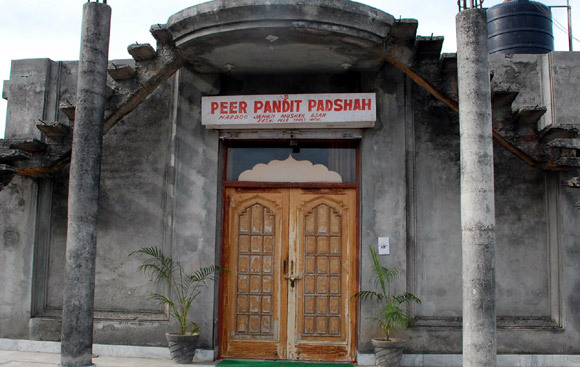 Thus ordered his immediate release with honor and bestowed him the title of "Peer Pandit Patshah'. Otherwise, the Reshi or Ryosh was not Peer by surname. 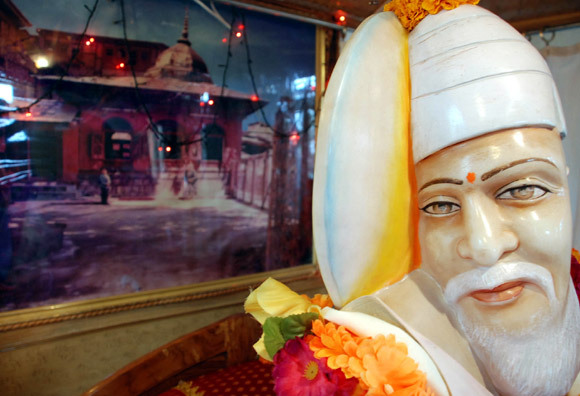 He was revered as a "Sant-Mahatma', by his 1200 devotees till then. Reshi was the name given to him by his parents, and he did possess all the spiritual qualities of a Rishi. Reshi Peer was such a Rishi, who gave us the strength to understand the true nature of SHRI SHARIKA, as revealed by Pandit Krishan Joo Kar--the great Guru of Reshi Peer Sahib. The old man was rejoiced, as if he became youthful, when the baby was born. The father (Govind Joo) praised the newly born child saying that his earthly garden has been filled with the celestial flowers, where there is divine fragrance to be felt every where. He would listen to the Bhawani sahsranama regularly from his parents, and was carried to Chakreshwara to receive the blessings from the Divine Mother Sharika. In due course of time, Reshi peer learnt the traditional Puja Path, through parents and through the interaction with his neighbours. Reshi Peer was a great Tapasvi, an ascetic par-excellence, by nature. He did great Tapasya from the Agamic point of view. 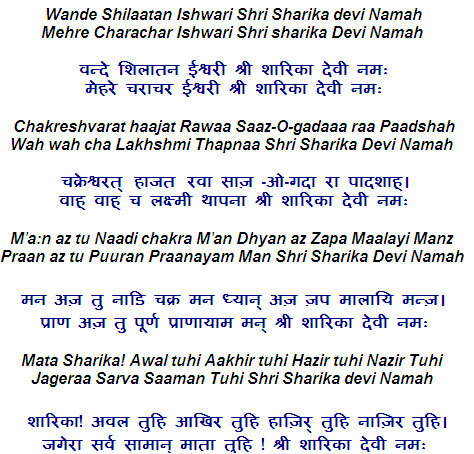 As the legend goes, he was initiated into the Bijaksharas--the mystic seed syllables of Shri Sharika , by the great Tapasvi Pandit Krishan joo Kar of Rainawari. It was he, who has spoken of the Panchadashi Sharika Mantra in the then Kashmiri dialect, which is amalgam of Sanskrit, Persian and Kashmiri. The hymn was filled with Pragnya/intuition and Shabda Pramana/ verbal testimony of the Agamas. It is said that Reshi Peer was on his routine Parikrama of the Hari Parbat shrine. On one day, as usual, he had gone to his 'Nitya nimitt Khokhji Prakram''/ routine crawling circumambulation around the Parbat, and was graced by Shri Sharika during his trance hearing,: Reshi... the Yogi you encounter will be your Guru.'' 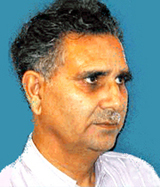 But Reshi Peer could not recognize Pandit Krishan joo Kar at that time, then. The Shaiva Agamas say that Guru is also in search of a genuine shishya. Mystics of higher order, also confirm this thought of initiation. Pandit Krishan jookar planned to visit the house of Peer Sahib, under divine command..On entering the house, as per the social standards,Reshi Peer's mother presented Chillum to the saint Krishna Joo Kar. He puffed the smoke and kept a little for Reshi Peer and left their home. The mother of Reshi Peer was instructed to ask her son to puff the chillum not leaving a puff of smoke for any body. On reaching home the mother instructed Reshi Peer to take a strong puff of the Chillum, as directed by Krishan Joo Kar. He got astonished, on seeing a different vibration in his home. "What a miracle! A wonderful indeed!' , so said the Reshi Peer. Just now, Krishan Joo Kar entered the house asking for your Chillam." Reshi Peer recognized the efficacy of the puffing Chillum, along with the results of initiation and instilling of the "Shakti- Paat" in him by Pandit Krishna Joo Kar. Reshi Peer left his home to pay his obeisance to Krishan Joo Kar, but he could not be traced that day. These are the ways only known to the mystics. Since that day, all the "Ashta Siddhis', as described in the Patanjala Yoga followed Reshi Peer. He became the "Padshah-e- Zahir-o- Batin" of Kashmir. He would do the best of miracles and undo all the misdoings of those with the Asuri / demonic character. He was very considerate towards the followers of truth, Dharma and spirituality. In short, he was the beacon light of Shrutchar/ purity, Sezar/ simplicity and Pazar/ divinity. 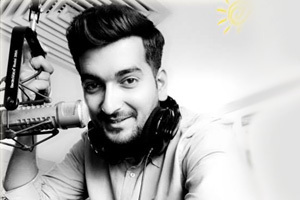 He had all the potentials of Satyam--Shivam --Sundaram . Once Reshi Peer's mother , in her oldage desired to go to the Harmukt Ganga, as a part of traditional pilgrimage, on the Gangashtami day. Cnsidering her old age, Reshi Peer requested her to give him a thali. Both of them left for the Batayar Ghat on the bank of the Vitasta river. Reshi Peer in presence of his mother and other devotees threw the thali in the river, flowing downwards. After some considerable time, the " Thali' filled with the Holy water of Ganga appeared on the banks of Batyar. His virtuous mother had a shower with that holy water on that auspicious day. This was the merit of the Siddhi/perfection of his Sadhana, A Yogi can do it. it is no wonder for them. "Peer Pandit Patshah! Hardu Jehan Mushkil Kusha! Mushkilas Karan Aasan!" 'Thou art Peer as well as Pandit, Thou art the the Emperor. Thou art the remover of obstacles in the world, and the world after.Thou helpeth in solving the great difficulties." "Please take pity on us and subside the wrath of Agni Deva." Reshi Peer said; "Go and take my Atha Khrav/ the wooden hand- helping slipper , throw it up in the sky touching flames, taking the name of "Shri Sharika Patu Nah" and every thing would be set right. They did it with firm belief and faith..., the flames cooled down and the disastrous fire got subsided. This was one of the miracles of Peer Pandit Patshah. There are other miracles also, associated with his life, as well. It is about the Yagneopavit Sanaskar of his son Rihanad" , saving the boat of one devotee during floods etc.. He would accept the "Niyaaz" of the fourteen and half ( 14 and1/2 units) of the then currency, as a token of respect for the Bargahe-Patshahi i.e. Chakreshwar at Hari Parbat. The devotees would offer him the food with fourteen and half dish both vegetarian and non vegetarian. 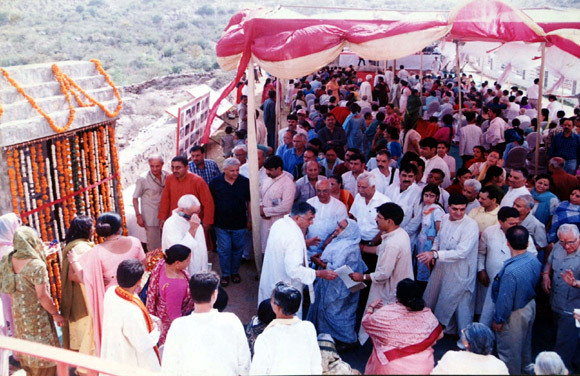 It did really solve the most intricate problems of the devotees. The offerinfg of Niyaaz was still in vogue up to migration, at his Asthapan/shrine at Alikadal. 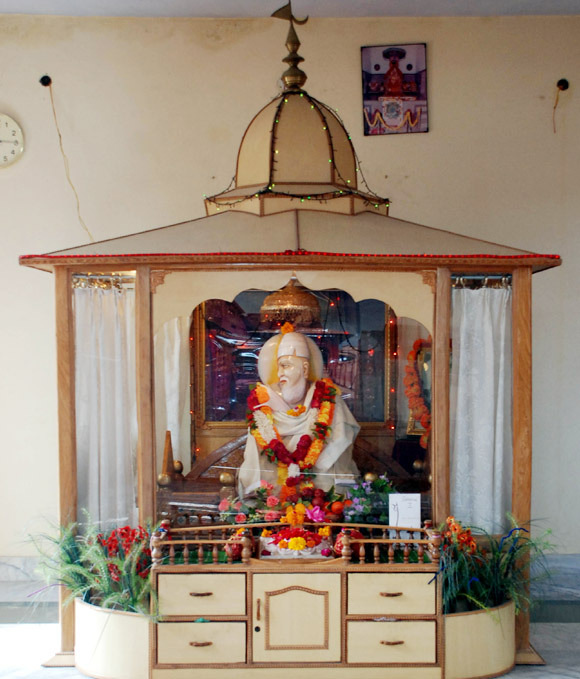 It is still current at his newly constructed shrine at Jammu. It was in the year 1988, when I paid my last annual visit to his Asthapan /sanctum sanctorum at Batyar Ali Kadal, Srinagar Kashmir, along with my children. As usual, l touched the Atha-Khraw/ wooden slipper of the Great Peer Pandit, with all reverence and devotion. It was filled with the mystic Homa/yajnya flavor. When I asked the custodians of the shrine, about the significance of the fourteen and half unit of currency and 14 and 1/2 dish , as preferred by the Peer Pandit Sahib. They told me that it was a mystic number for the Reshi Peer. Fourteen , I could understand as it could be the Fourteen triangles of the Shri Yantra, but what about the half? When asked about the half coin or half dish, I was not told any thing. It could be again something mystic to be understood by the mystics themselves. Regarding the nature of half dish, the custodian told : Among dishes half is the Muji Cha'tin/ radish sauce. It is still a mystery for me. The Agamas speak of the Ardha Maatra , which is half measure. It could be so. I can not comment on it. The Niyaaz of 14 and 1/2 units of currency and the offering of 14 and half dish at the shrine would set the things right, is the belief of his devotees. Whatever it is, it is attributed to Shraddha/devotion and Vishwaas/faith. The people at large, belonging to any denomination of caste or creed has faith and reverence in the shrine of Reshi Peer Sa'ib, and offer 14 and 1/2 rupee. In return, every devotee is blessed with the Naveed of Laay,which is puffed rice, Isband/ a sesame type herbal seed and Kulchiwor, baked typical Kshmiri crisp bread offered primarily to to the 'Atha- Khraw" of the Peer Pandit Patshah, later to be presented as a Prasad/Naveed' / sanctified gift to the Niyazmand/devotee.This is still prevalent at the Jammu shrine, where his relics have been installed at Tope Sherkhan, Subash Nagar area, Jammu . An annual Havan is being performed on the same pattern as used to be at Srinagar, as usual on his Shradha Nirvan diwas, there.. People have faith in the name of Reshi Peer Sahib, even in KP Diaspora. Translation of the Shloka runs as: O Bharata/ Arjuna! Whenever, there is unrighteousness in the world, I descend again and again to regenerate Dharma, in every Yuga/ aeon. I do it solely, to destroy the evil and to save the righteous persons. 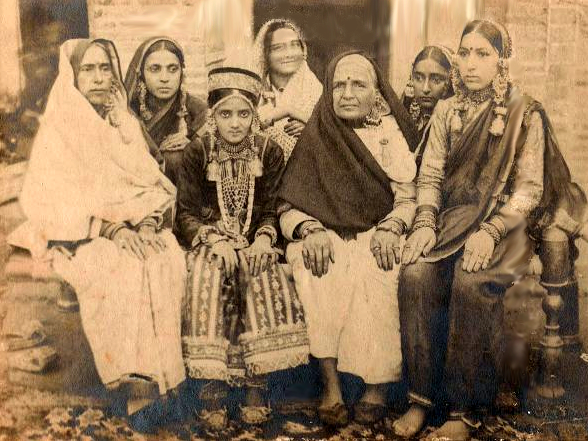 Reshi Peer Sahib's mother was from Gushi village, of the Sopore area.She was very young but was married to Pandit Govind joo , who was around 50, at that time. It is said that the Reshi Peer Sahib was born , as his Nani--grand mother was a great devotee of Sharada Devi, used to invoke the Devi for the male child to her daughter. Reshi Peer also got married at the request of his mother to continue the family tree. He had a son with the name of Rihanand, who also became a saint, after Reshi Peer Sahib left his mortal coil.. Rihand passed away during his Tirtha Yatra/pilgrimage, beyond the boundaries of Kashmir. Rihanad had two sons ---Kashi Pandit and Lallu Pandit. Kashi Pandit also became a mystic, later. I conclude my obeisance to the Patshah-e-Alam Peer Pandit, with the following verse. Tere Peeri-e-Rang Mai Range Hai Bahut Se Be- Niyaaz. Good article. But there is very less information about his birth place where a temple existed prior to militancy. The temple is now in shambles. Thank you Dr.Raina Sahib for writing such a informative article. I was touched while reading this article. My mother also used to take me there for blessings and I used to love getting the prashad kulchavor. Thanks again. Reshi Peer Sahib the most revered place and more so to me being my fathers 'Matamaal', right at the right side of entrance. And we used to hear lot many 'karismas' of ReshiPeerSaib. My childhood memories have come alive after reading this article. Pl. send me copy of 'VandeShilatn Ishweri...' i will sing it in honor to PeerSaib. Dear Rajesh Ji Thank you for your comments. It is very nice to hear from you that the article isa good article.Mainly the life and the spiritual genius has been dealt in this write-up. I could not throw the significant emphasis on the Reshi Peer's Shrine at Batyar Alikadal, as I could not get any photograph till I completed this write-up.I would request the editor Shehjar for getting the photograph of that shrine, situated at Batyar Alikadal.